"SAMURAI NOODLES -THE ORIGINATOR-" produced by AOI Pro. won a GOLD in Animation at CICLOPE Festival 2018! 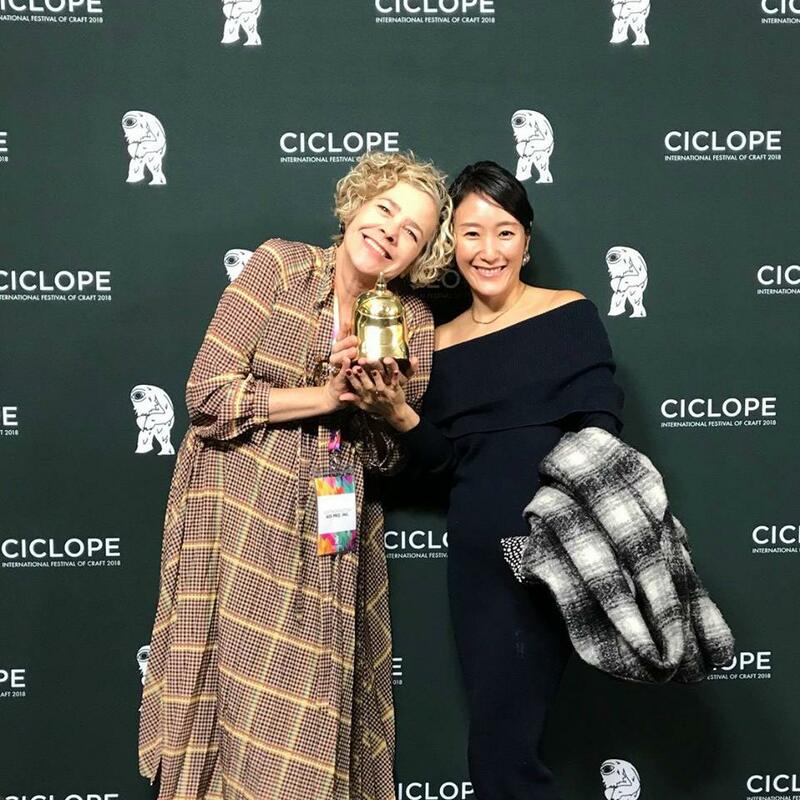 Julie Thomas and Ai Yamamoto received the trophy on behalf of the production team (photo above). "OBSESSION FOR SMOOTHNESS" was also finalist in Music Video category. Check out the Gold winning film below! 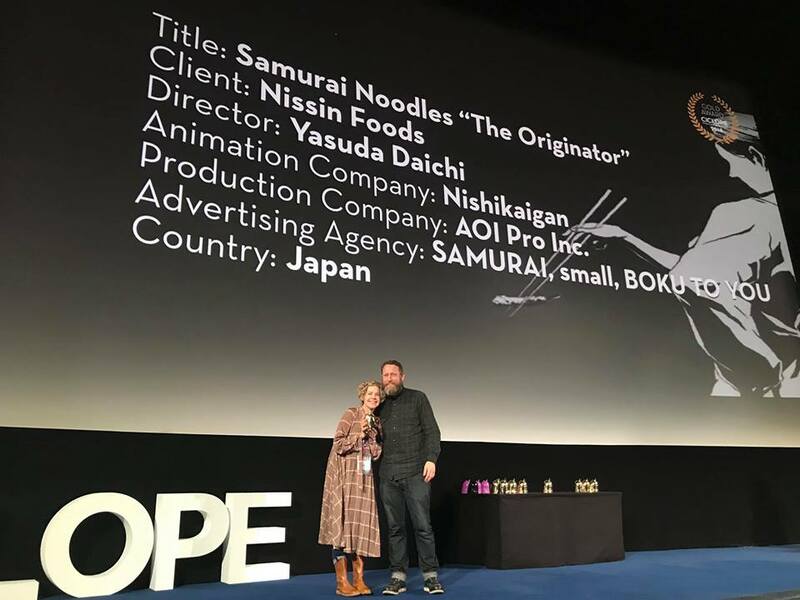 NISSIN "SAMURAI NOODLES -THE ORIGINATOR-"
Client: NISSIN FOODS HOLDINGS CO., LTD.
Agency: SAMURAI INC. / small inc. / BOKU TO YOU Inc.